When a homeowner falls behind in their mortgage payment and doesn’t catch up, refinance or sell the property, the home is going to become a foreclosure property. So which is the best stage of the foreclosure process for an investor to buy the distressed property? Before the foreclosure auction, at the auction, or after the auction? If you buy a home directly from the owner, but for an amount less than the mortgage owed, that’s a short-sale. While it used to be common for creative investors to buy pre-foreclosures without paying off the mortgage (subject to deals, wrap mortgages, lease options, etc. ), the lack of equity in the vast majority of today’s distressed homes makes those tactics MUCH less useful. Instead, focus on getting the bank to take less than what is owed… a Short Sale. Short sales are plentiful, and can be financially rewarding. 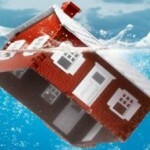 There is no shortage of underwater houses with desperate sellers. A seller who can short sale his house STOPS the foreclosure process, protecting his credit and often eliminating any risk of a deficiency judgment. So buying a short sale helps the seller, in a way that buying later in the process just can’t. As an investor, you can find short sales at any price point, in any neighborhood, with a simple MLS search. The major key is to work with a real estate agent experienced in short sale negotiations. While most of the banks have streamlined their short sale approval process (especially in the past few months), the process still takes a long time and a great deal of patience. An agent who is actively involved in tracking and following your offer is invaluable. You need an agent who anticipates the bank’s moves and knows how to successfully negotiate the playing field … especially since the bank is paying the commission. Ten years ago, we would deliver short sale packages by FedEx because banks would always claim to lose the package or would accidentally shred the fax. Now most banks have adopted online software to submit shortsales. But some banks still prefer faxed documents. You need to know before you submit. Its always a good idea to submit your own CMA with the short sale package, to justify the sales price and help set the asset manager’s expectations. ALWAYS submit an exhaustive list of all the repairs needed on the home, together with pictures and multiple bids for the repair estimates. The more repairs, the lower the value, and the better the deal you can expect. You get lots of time for inspections, surveys, appraisals, title insurance and closing. You can lock up the property with a minimum down payment. You have many opportunities to back out of the deal. You get to negotiate the best possible price. Auctions often sell at a steeper discount than short sales. You don’t need much patience with auction properties. Until a bank has actually accepted a short sale offer, there is no way of knowing whether they will let a house go for a particular price. And a bank will not accept an offer (or even hint at the bottom line price) until a complete short sale package has been submitted and reviewed. Until that acceptance, the list price is just to gauge interest from the public. The interesting thing was that we bought these houses at the auction for significantly less than the bank would have made through a short sale. The bank discounted MORE at the foreclosure auction than they would have had to discount the mortgage. 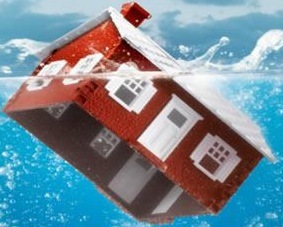 Once, we flipped the house the day we got title… to the short sale buyer…. for a huge profit. So finally, we started submitting short sale offers on upcoming foreclosure auction properties, about a month ahead of time. The banks would do the BPO, decide their bottom line number, and then… let it go to auction anyway. But they would reliably discount the judgment and reduce their strike price at the sale. And since we already knew the rehab and resale numbers, we could bid confidently at the sale. This entry was posted in Auction, Foreclosure and tagged bank owned, BPO, CMA, foreclosure, investor, Short Sale by David Midgett. Bookmark the permalink. David, thank you for these helpful and clearly written posts! I wonder if you can extend your line of thinking on this one to comment on our situation. (a) The property has been through 2 buyers walking away before us, and so the bank’s bottom-line price is already known. We also have completed the full home inspection and we know what’s needed on the property (not nearly enough to alter the final value for price; the home is in generally fine condition). (b) While the two lien-holders (Ocwen for first mortgage and Citi for second mortgage) have both agreed to the sale and have each extended their approvals for the delays, the foreclosure dept. at Bank of America (which sold servicing to Ocwen for the first mortgage) still retains the property’s spot on our county sheriff’s auction, set for this Thursday (11/15/2012). The above summary gives the basic configuration of liens. It is rather complex, but at least the approvals are in. We’ve so far had 4 or 5 settlement delays, mostly due to getting extended approvals from the lien-holders. Now we have a delay that may be fatal to the deal: The title company, in its research, has not been able to resolve a gap in the line of title. Specifically, the language in the Power of Attorney granted by Bank of America to Ocwen is not specific enough to satisfy the title company’s underwriting counsel; the counsel wants a specific statement from PoA saying it empowers Ocwen to act on BoA’s behalf. So our person at the title company has attempted almost daily with both BoA and Ocwen to get this clarification in writing, but she has had no success getting either a clarification from BoA or any response at all from Ocwen. Given this impasse, the seller’s realtor and our realtor (neither of whom has ever done a short sale before) feel the title company’s counsel is being “too cautious” in his reading of the POA, and so the two realtors want to move the deal to a different title company, which they (the realtors) believe would be happy with the POA language, in order to get the deal to settlement. We, however, feel the title counsel’s caution is wise (obviously, we want no risk that BoA may come back and make trouble after the sale), and we suspect that such a stopping point may well happen with any another reputable title company — so why even bother to start all over again with a different title company? At this point we feel the realtors are pushing us to accept a less meticulous title search in order to get the deal done. This sounds shoddy to us. It feels like this may be the time to either walk away from the deal or encourage the title-searchers to figure out how to get an answer from BoA and Ocwen in order to eliminate the lingering uncertainty in the line of title. It does not sound like a good time for us to give in to the realtors’ pressure to settle despite the title counsel’s opinion. So today I got this outside-the-box idea . . .
Why don’t we pull out of the short-sale deal now (using the sale contract’s provision that Buyer may pull out if the title is not marketable as determined by reputable title company’s search), reclaim our deposit, and then show up at the auction on 11/15 and buy it at a lower price? I’m thinking that in this case we would still retain the title company’s services and would still buy title insurance. Does this idea make sense, or am I missing something? If it makes sense, what risks do you see here? 2. Do we risk losing the property to another buyer, given that it’s an attractive property in a nice neighborhood? I could see us backing out of the deal and then the seller’s realtor instantly contacting the next buyer in line, who would then gladly jump in with a new offer — all before we even get to the auction on 11/15. Or would we still be able to buy at auction regardless of whether a new buyer comes along immediately? Thank you, and I hope you can decipher the line of thought in this question. I can’t figure out how to state any of this stuff in simple terms! Miranda kimi bir qÄ±z Ã¼Ã§Ã¼n, kim aÅŸaÄŸÄ± heysiyyÉ™t É™ziyyÉ™t vÉ™ bu gÃ¼nÉ™ qÉ™dÉ™r real tarixi heÃ§ vaxt, qÉ™flÉ™tÉ™n belÉ™ bir bÃ¶yÃ¼k ÅŸey ola Ã§É™tin olacaq. VÉ™ kim yoxdur "deyÉ™rdim’ belÉ™ bir tÉ™klifi vÉ™ ya Brian kimi bir ÅŸÉ™xs gÃ¶zlÉ™yin etmÉ™k. I belÉ™ bir vÉ™ziyyÉ™t olsaydÄ±, o olduÄŸu kimi i eyni edÉ™cÉ™yini. Bu hekayÉ™ mÃ¼tlÉ™q maraqlÄ± É™ldÉ™ edir.Elvirah yaxÄ±nlarda tÉ™qdim olunub..
How elegant! But – the one word which comes to mind is: TOYOTA. It will last longer than we will. And I think that is a quality that is good in a car. With elegance comes maintenance. With maintenance comes money. And more money. Transportation or headaches – ? Inquiring minds want to know. I want to know! I just reread my whole post from yesterday and have concluded that we are way too uninformed to even consider going to auction. We learned today that auction was postponed until March. So we stick with short sale and stay patient. Thanks for your kind reply. I hope to build a readership here and intend to have useful empirically derived information to share. I have not tried galley wraps myself, but I do like the ones I have seen.